A spectacular race will be taking place for the first time in Lyon this weekend. Drone pilots will be competing in a stage of the World Cup. It’s a unique and free event. They weigh barely half a kilogram, have a top speed of around 130 km/hour and sound like giant mosquitos! 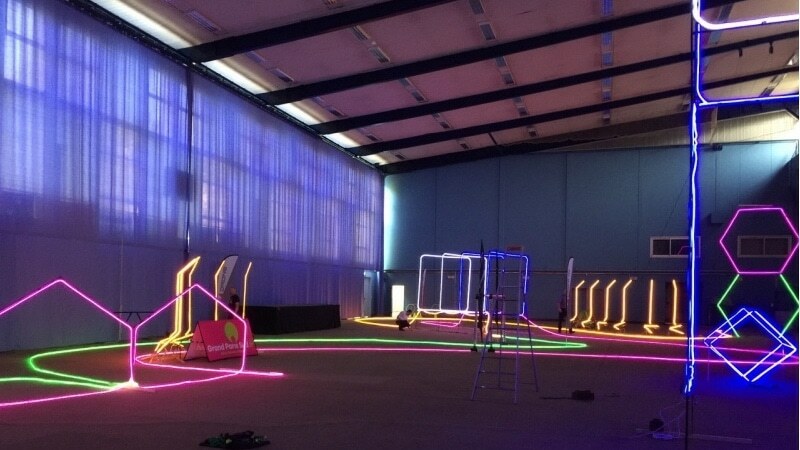 Around 70 drones will this weekend (April 29th-30th) take part in a thrilling stage of the World Drone Racing FPV World Cup, a series of races organised on Saturday and Sunday at the Vuillermet Stadium in Lyon. It’s open to the public and it’s free. “It’s the first time that an official race of the FAI (International Aeronautics Federation) which counts for the World Cup is being held in the centre of a city. Access to this event is free to the public and some of todays best FPV drone pilots will be there” the organisers explained to This is Lyon. FPV is the abbreviation for “First Person View”: the pilot wears either a pair of video goggles or uses a video screen to control the movements of his radio controlled drone which is equipped with a camera. As many as 72 pilots can enter this event and as of thursday, around 60 pilots have already been announced, coming from all over France and also Italy, Sweden, Switzerland, Belgium, Spain and Korea. Contestants having a licence issued by the International Aeronautics Federation (FAI) will compete in groups of four over a circuit sprinkled with obstacles. Spectators can follow the races thanks to a giant screen. The Vuillermet Stadium can hold up to 4000 people. The qualifying rounds start on Saturday at 1pm but you must definitely not miss the night time races held over an illuminated course which begin at 8:30pm. Other important times during the Drone World Cup are the finals on Sunday at 5pm are the awards ceremony at 6pm. For anyone not able to attend, the races will be broadcasted on YouTube. Vuillermet Stadium, 196 avenue Paul-Santy, Lyon 8. Please note schedule may be subject to change due to inclement weather. The final is cancelled: too much wind in Lyon. Yon can also watch the day 1 live streaming of this drone racing event (start at 20mn).